Audience: Core courses in Operations Management. 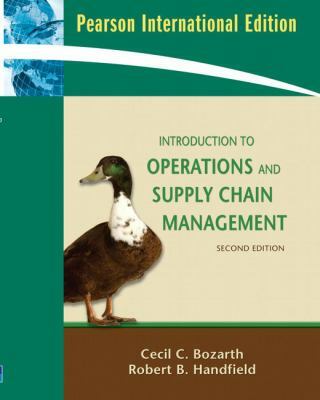 Approach: First text to provide an integrated and comprehensive treatment of both operations and supply chain management. Competitors: Stevenson, Chase/Aquilano/Jacobs, Reid/Sanders, Finch, Burt/Dobler, and Russell/Taylor. have included Spartan Motors, Newport News Shipbuilding, Mead, Honeywell, Turkish Petroleum, ITT Avionics Division, and many others. ERNEST L. NICHOLS is Associate Professor of Operations Management, Decision Sciences Area, and Director of FedEx Center for Cycle Time Research at Fogelman College of Business and Economics at the University of Memphis. He is also Faculty Research Associate with the Global Procurement and Supply Chain Benchmarking Initiative at Michigan State University. Dr. Nichols&#39; research interests and Fortune 500 consulting experiences encompass a wide array of integrated supply chain management issues. He previously served as management consultant with Dialog Systems, Inc., where his responsibilities included consulting in the areas of purchasing and materials management as well as the design, development, and support of customized materials and logistics systems software. 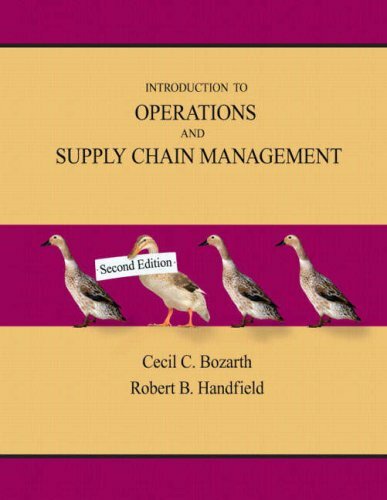 Handfield and Nichols are the co-authors of Supply Chain Management .